The Star Tribune released a poll Monday that shows Barkley with 13 percent support among voters, well ahead of the support Jesse Ventura had at this stage of his successful campaign for governor in 1998. Barkley is promising to be a loud voice for change in the Senate campaign, even though he'll have almost no money compared to the tens of millions dollars that Coleman and Franken are spending. Political observers say Barkley could end up playing a major role in the race. If you've given $100 or more to an Independence Party candidate in the last few years, you can expect a personal call and plea for money from Dean Barkley right about now. "Hi Brian, this is Senator Dean Barkley calling. I'm sure you're aware that I won the Independence Party primary on Tuesday, and now I'm trying to raise money for a media campaign," said Barkley to the caller. Barkely acquired the title Senator six years ago. He was appointed to fill the last couple of months of former DFL Sen. Paul Wellstone's term, following Wellstone's death in a plane crash. Working the phone for cash is Barkely's main focus right now. "Yesterday I raised over five grand doing this," said Barkley. Barkley is sitting in his Plymouth law office. He's using a computer program that identifies likely contributors, and tracks how many times he's contacted them. The system also arms Barkley with personal information about potential donors. Barkley folds it all together to customize his sales pitch, which more often than not ends on someone's voice mail. "So, when I'm done with Brian I go over here and say, left return call number two, and then save and go to the next one, and just do this ad nauseum," said Barkley. Barkley is running his campaign on a shoestring budget. Like his political ally and hero Jesse Ventura, Barkley is hoping to spend about $500,000 on his race. "There's no secret of what I'm trying to do. I'm trying to recreate what Ventura did 10 years ago," explained Barkley. That means, Barkley said, straight talk at the debates and an inexpensive ad campaign, which he hopes will be as clever as one of Ventura's 1998 commercials. It featured two boys promoting Ventura's campaign as they played with action figures. Barkley says he'll use the same advertising team Ventura used for his popular spots. Barkley acknowledges he does not have Ventura's charisma. But he says his political philosophy is identical to that of the former governor's. He wants to cut the national debt, and he wants to end the war in Iraq. Barkley says as an independent, he could bring together Republicans and Democrats to address problems from the growing cost of Medicare to Social Security's projected insolvency. 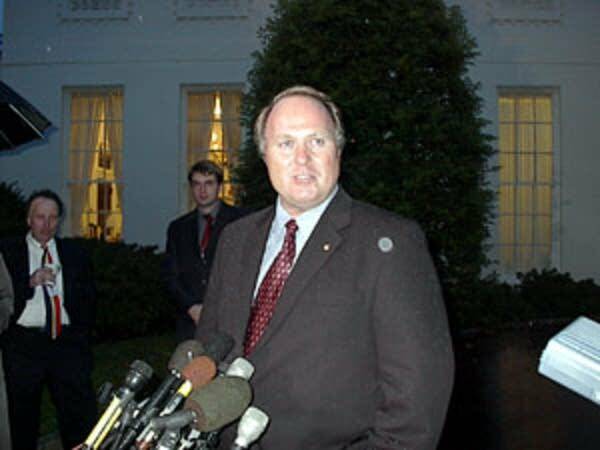 While Ventura had been an entertainer and suburban mayor, Barkley's career has ranged from running a car wash, to working in Ventura's administration to lobbying the Legislature. He is a small business attorney who also recently drove Metro Mobility buses. Polls over the summer gave Congress a less than 10 percent approval rating. Barkley says voters are looking for alternatives to Republicans and Democrats. "We all know Washington is broken. All they're doing is fighting. It's a food fight that won't end. They don't solve any problems," said Barkley. "They aren't taking up any problems. They're in this death match, and we've seen a great microcosm of that in the Senate race. I mean, how much more negative can it be?" Democrat Al Franken is largely dismissive of Barkley's Senate bid. "I really think that this really will come down to a choice between me and Norm Coleman," said Franken. Republican Norm Coleman, who 10 years ago lost the governor's race to Ventura, appears to take Barkey's candidacy more seriously. "I can't judge where Dean's support will come from. I think it will be a valuable addition to the debate," said Coleman. 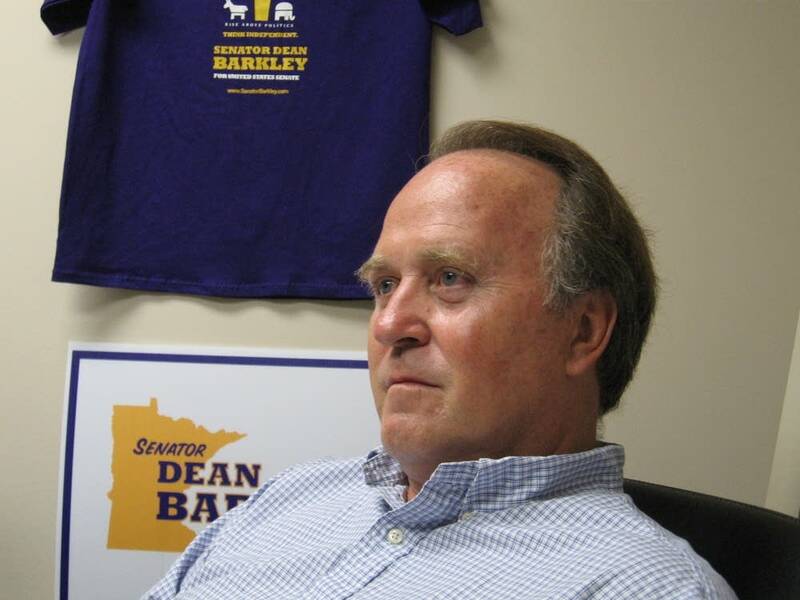 University of Minnesota political scientist Lawrence Jacobs says Barkley is hardly a sideshow in Minnesota's Senate race. "In a way, Barkley could be the Ralph Nader of 2008, by drawing away support from voters who would be inclined to vote for the Democrats and drawing enough support that the Republican is able to win," explained Jacobs. According to a Minnesota Public Radio News-University of Minnesota Humphrey Institute poll released last month, 8 percent of Democrats plan to vote for Barkley, while 6 percent of Republicans plan to support Barkley. Jacobs says it makes sense that Coleman seems interested in raising Barkley's profile. But Jacobs says it's a strategy that comes with considerable risk for his campaign. "It's the case that Barkley seems to be drawing a bit more support from Democrats, but he's also doing damage to Norm Coleman among Republicans," said Jacobs. "So Dean Barkley's campaign appears to be having some success among supporters of both parties, and indeed his message seems to have real appeal even among independents, and could grow some groundswell. We saw that with Jesse Ventura in 1998, who did very well, not only among independents, but also among Democrats and Republicans." Jacobs says like Ventura, Barkley will want to do whatever he can to use the Senate debates to get his message out free of charge. For his part, Barkley does not buy into the notion that he's hurting Franken more than Coleman. "Based upon my experience at the State Fair, I had two or three to one people who came up who said they were going to support me because of my fiscal position," said Barkley. "Those are Coleman supporters. I was surprised at that ratio, and you know I was there for all 12 straight days, and I talked to thousands of people, so my sampling was bigger than yours." Barkley says in addition to his Minnesota telephone fundraising, he's hoping to tap Independence Party activists in other parts of the country for campaign cash, including perhaps the best known, independent New York Mayor Michael Bloomberg. Barkley says he hopes to have radio ads out within the next several days.